The best kind of souvenirs (in my mind) are edible ones, and I was very lucky to receive a jar of the sweetest souvenir from one of my dearest friends from her annual trip to Spain. 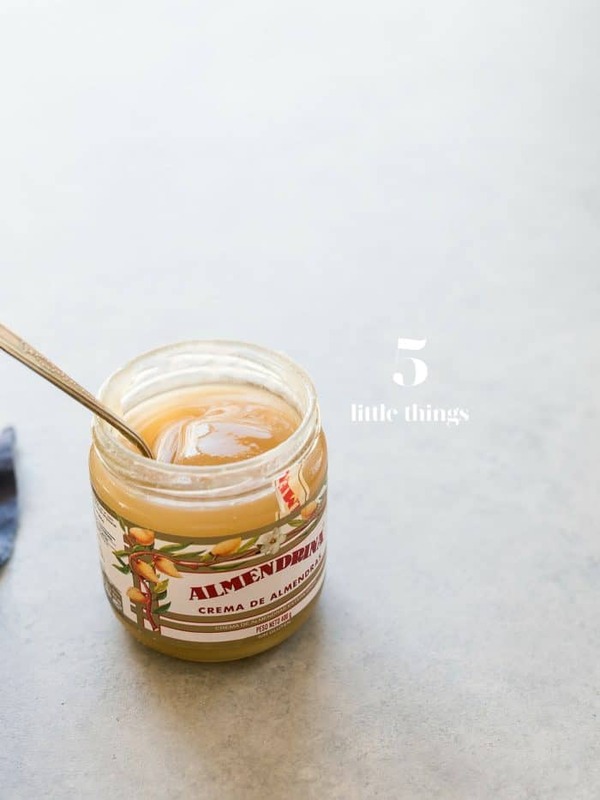 Have you ever tried Almendrina? It is the most delicious almond cream, and I know it is very rare to find in the U.S. I am enjoying it by the sweet spoonful and have been using it in so many ways, but sparingly, as I know it will be hard to find again! Because of this, I am inspired to try making a homemade version. I am thinking of Nice today. I’m not sure what our world needs, but perhaps in our own little way, we can feed each other, with kindness and love. I’m turning to Julia Child for inspiration – here are her 100 most beloved recipes that celebrates France. Even if you’re not a parent, I’m sure you remember that special stuffed animal or lovie that traveled with you everywhere. Even now, our kids still travel with their stuffed animals, and I’ve considered getting them little passports, too. I guess that is why this story about a little boy’s lost stuffed elephant and the kindness (and photoshopping genius) of strangers is sure to restore your faith in humanity. Another little boy, Jaden Hayes, whose story was spotlighted about a year ago, is so inspiring, I hope we can all learn from him and spread smiles. Before you go, let’s all promise that we’ll send love to everyone around us? This beautiful Adele cover produced by Kurt Hugo Schneider is sure to warm your heart. Wishing you all a peaceful weekend. aaah.. It has been a very tough week, indeed. I can always count on these 5 little things to lift my mood and put a smile (and sometimes happy tears) to my face. I love this cover ! <3 <3 <3 <3 Your article made me think of another cover of Marilyn Baileyn that is "Little thing" of One direction … You'll love it ! Oh thank you for telling me about it! I’m listening to it right now, and it’s beautiful!